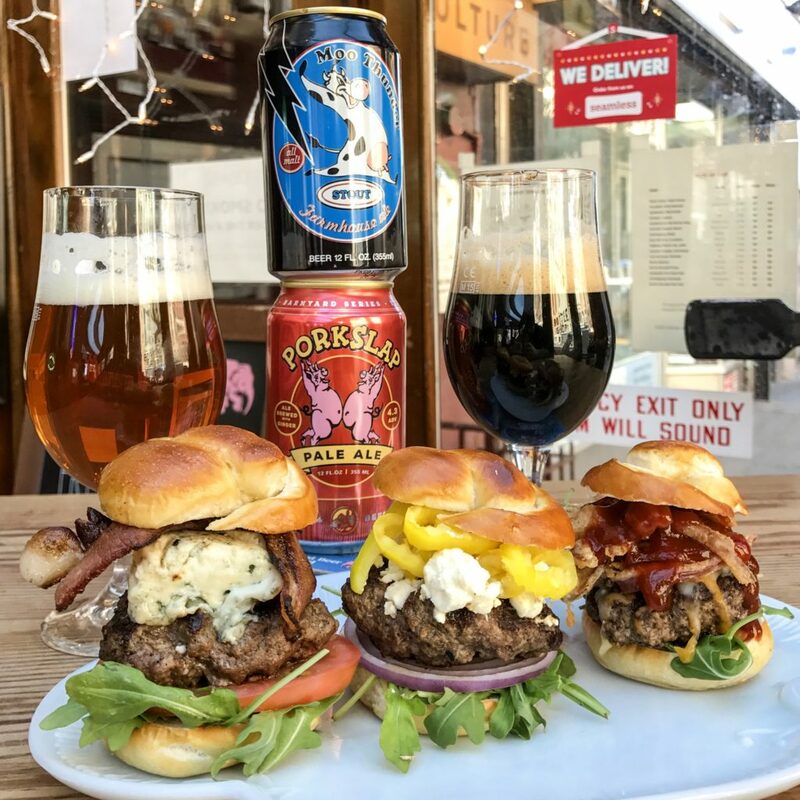 The Boozy Burger Brunch is a party that features off-menu Burger, specialty beers or spirits, tasting notes lead by an expert and a whole lotta fun. It’s the signature event of NY Burger Week. It’s the only event that’s done every year and its hosted by the same place every year until they want to pass on the torch. 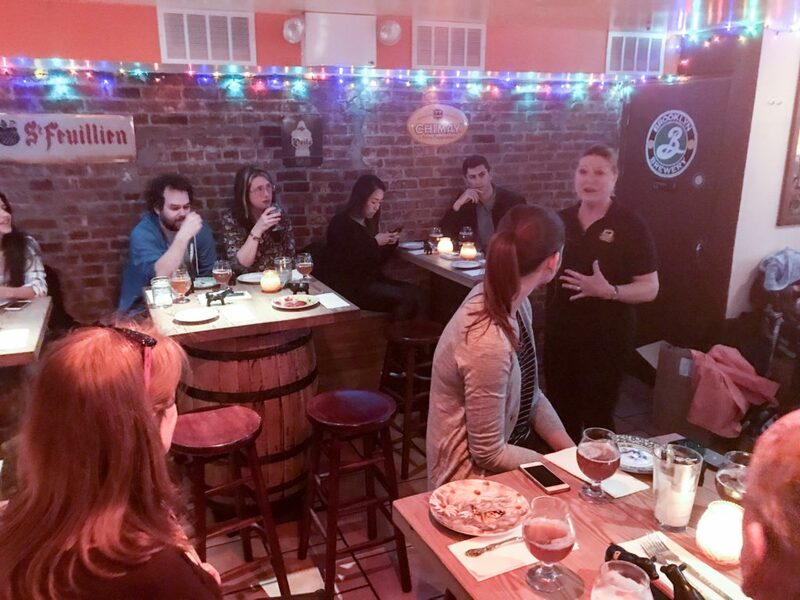 This year we took a slight twist on it by taking it to Beer Culture’s 2nd location, Gebhard’s Beer Culture on the Upper West Side. Its a great beer hall where you can taste a selection of rotating specialty craft beers on draft, in package and also purchase beers to go. They also have a menu that offers a selection of appetizers, sandwiches and some awesome awesome fries. I highly recommend it any day of the year! 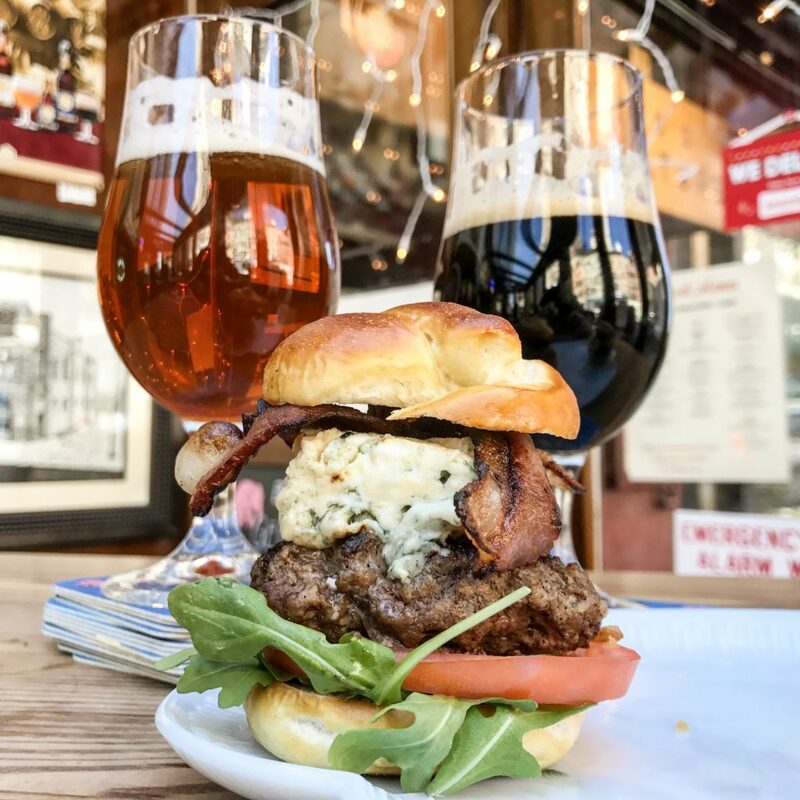 Join Gebhard’s Beer Culture, Butternuts Beer and Certified Angus Beef® for a very special Burger & Beer pairing brunch. You’ll get taste 3 different, off-menu mini-Burgers all made with Certified Angus Beef® gourmet ground beef. 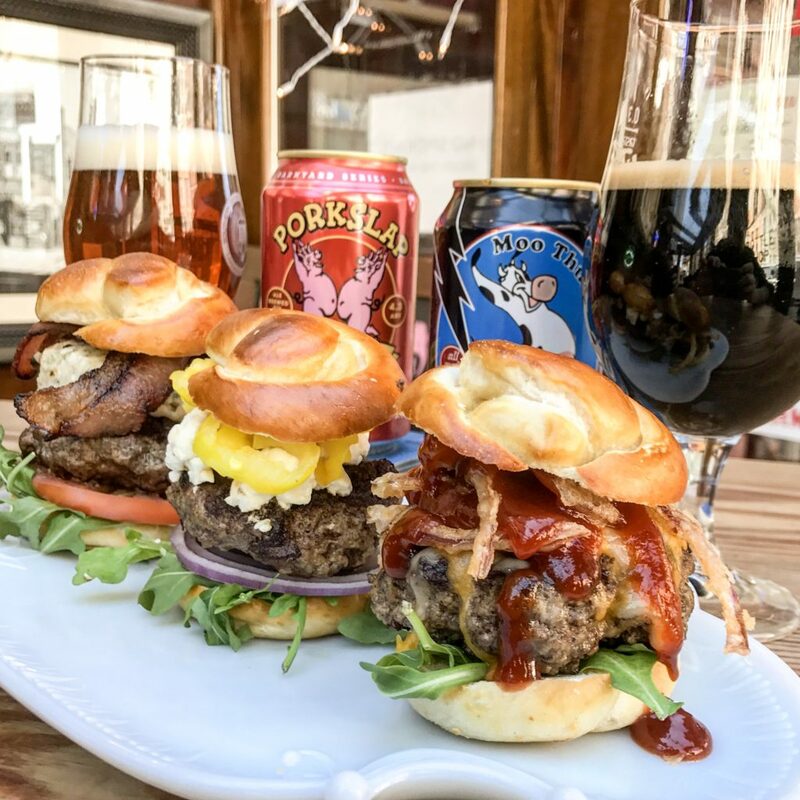 Each of those Burgers will be paired with a different craft beer from Butternuts Beer. A member of the Butternuts team will be on hand to give you an education on the brewery and walk you through the beer pairing. There will also be a representative from Certified Angus Beef® flying into NYC just to give you an education about what makes CAB so special. Big big thanks to Matt, Peter & everyone at Gebhard’s Beer Culture. This now makes 3 years we’ve held this event with them and every year, its still such a great time. Thank you all for always making this a tip-top and fun event. 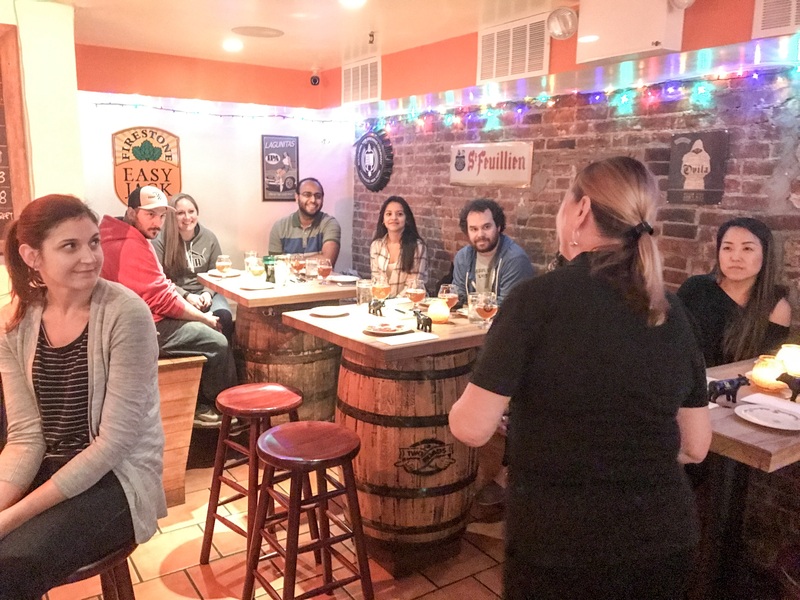 The Burgers are always creative, the beers are always great and the laughs are a plenty. 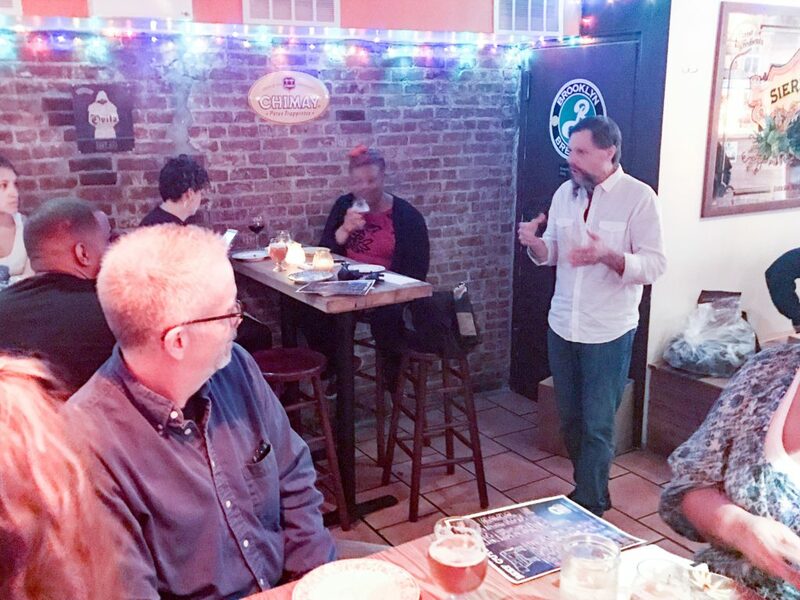 Thanks to Chuck from Butternuts Beer for not only sending us some really great and rare beers from the brewery, but also for making the long trek down to the city to share a pint and stories with us. A big high-five of appreciation goes to Mary from Certified Angus Beef® for not only coming into NYC from Wooster, OH but for handing out lots of great CAB goodies and helping to educate everyone on what makes CAB so important and so great. Learn more about Certified Angus Beef® here. Thank you to all the wonderful guests of this event, especially the few of you who come every year. There’s a reason why we do this event every year, not only is it really fun, but it’s the event that founded NY Burger Week. Id also like to thank the McCarthy’s, my wife and my son Jack for coming. It was his first official NY Burger Week event! 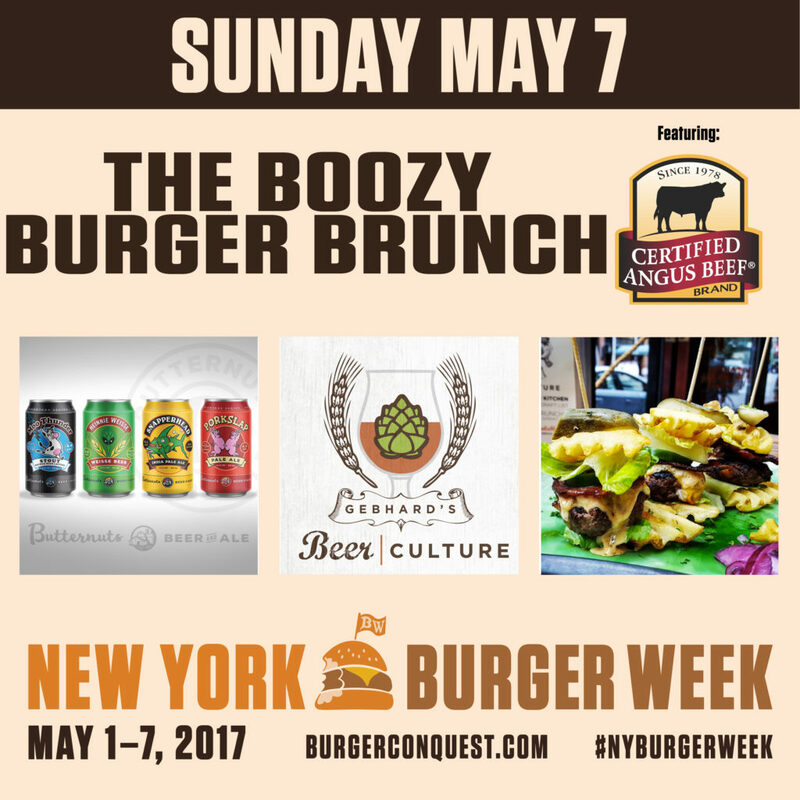 This entry was posted in Burger Week, New York, NY Burger Week and tagged Anthrax Wardance, Burger Week, butternuts, certified angus beef, craft beer, Gebhards Beer Culture, NY Burger Week, NY Burger Week 2017, upper west side. Bookmark the permalink.